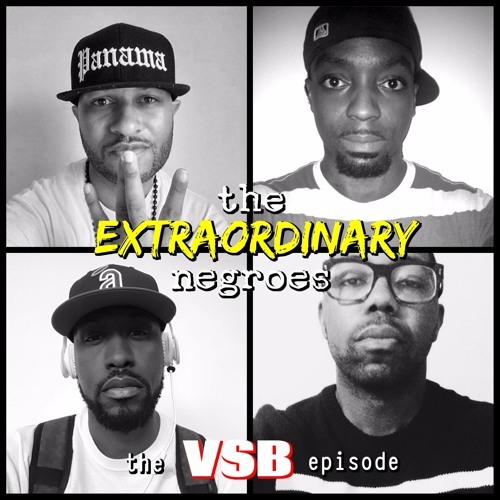 In our debut episode, we come out the gate strong and chop it up with the most notable pair of VerySmartBrothas we could find: The esteemed Damon Young and Panama Jackson. In this nearly two hour long extravaganza, waffles, pancakes, and french toast learn their fate in our power rankings, we extol the virtues of Sisqo's "Thong Song", and in honor of Mental Health Awareness Month, we take some time to discuss how these issues have impacted the Black community. And because we love ya'll, Beyoncé might've made ya'll sign up for Tidal, but we're giving you this precious gospel for free. @david-benoit-5: Thanks for listening! We appreciate the love! lol. Ashanti was the first sideburn superstar. Tyrese is a day-old, stale pot of grits. Who is eating?!? Stop it!!! Gross!!! Big Follower/reader of VSB. Hearing Panama and Damon's voice for the first time is pretty cool/low key creepy. I just expected different voices, for some reason. Looking forward to this podcast, gents! Congrats on your debut episode.